The government through spokesman Eric Kiraithe has responded to widespread reports of the mistreatment of SGR workers saying Kenyan workers must improve on their work ethic. 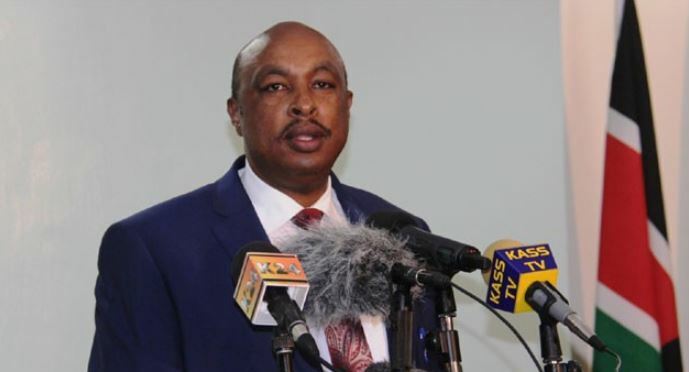 In a statement on Wednesday, Kiraithe noted that the government is committed to protecting the rights and dignity of every Kenyan worker but observed that workers must learn how things are done instead of complaining in the media. Kiraithe further observed that the haki yetu(our right) centred personality has no place in a profession such as that at the SGR. He said that Kenya entered into a 10-year contract with China to train Kenyans and the intensive process is still ongoing. “Inward-looking, haki yetu (our right) centered personalities have no place in this kind of profession, not now or in the future. They are the first crop of Kenyans employed on this project and the culture they entrench will determine whether in less than 10 years we shall depend on them,” he said. Kiraithe, however, assured that all the allegations will be judiciously investigated and that action will be taken in the best interests of Kenyans. He further took a jibe at the Sunday Standard for the SGR expose saying the “sensational reporting” ignored facts including the training skills and responsibilities handover to Kenyans.